Instead, these lemon dust cloths are a great alternative. No chemicals, no waxy residue, and I don’t have to worry about it getting inhaled if a dog sticks their big block head in my face while I am kneeling down and cleaning. Grab a couple of dustcloths or clean old rags-you can even cut up and recycle cotton clothes this way if you want-and a glass jar for each. 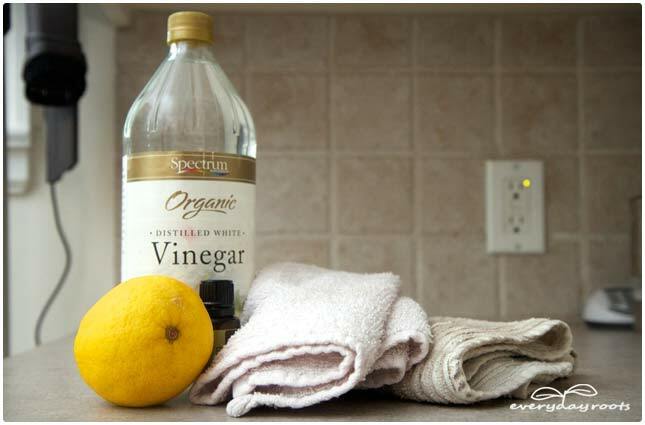 Mix together 2 cups of water and 2 cups of white distilled vinegar in a decently sized bowl or pan, and add in 2-3 drops of olive oil or lemon essential oil. 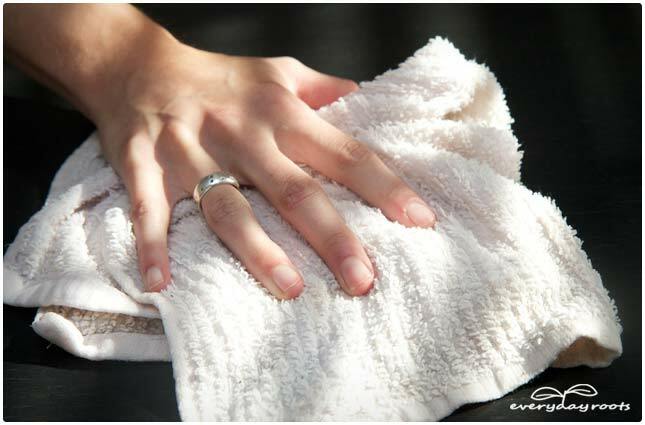 Thoroughly saturate each dustcloth and then squeeze all excess liquid out of them so that they are just damp and lay them out smooth. Peel the rind from several lemons and place a few pieces on each dustcloth before rolling it up. 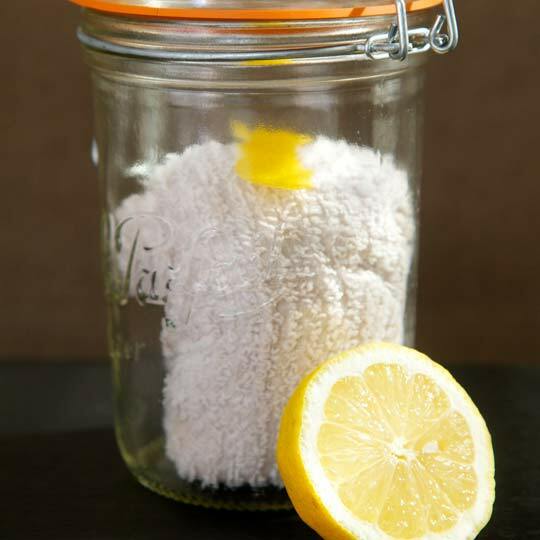 Tuck the cloth into your glass jar for storing, adding an extra piece of lemon peel for good measure. 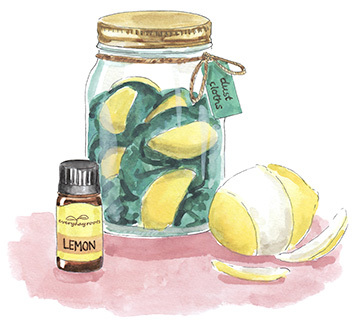 Store these until you need them, and make sure you boil them regularly after use and re-infuse them with lemon and oil. Is this as convenient as a spray in a can? Of course not. Is that ok? Absolutely. Their fresh scent, quick preparation, plus the natural cleansing properties of the vinegar/water, makes them a winner in my book. 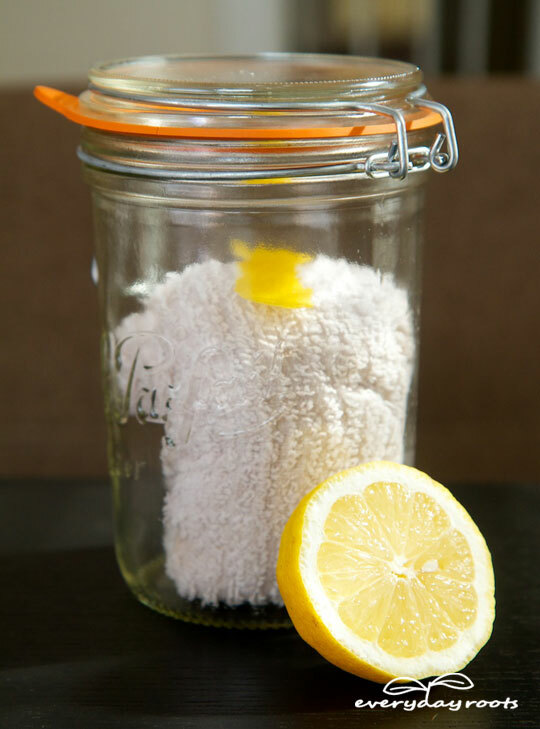 You may also like our homemade fabric softener recipe. Thank you Valarie, I am glad you enjoy it!